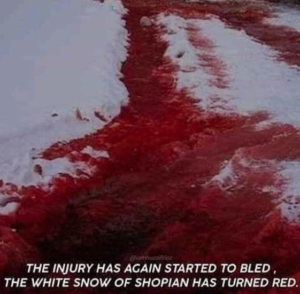 The first snowfalls in Kashmir run with the blood of martyrs. End the occupation. Self-determination for Kashmir. Go back, India, go back.